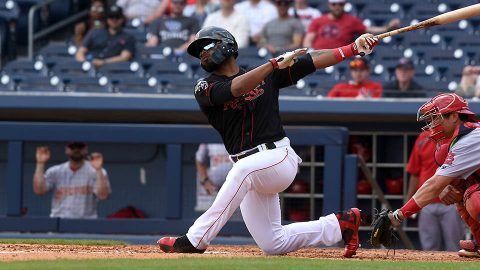 Papillion, NB -The Nashville Sounds’ winning streak ended at four on Friday night with a 10-1 loss to the Omaha Storm Chasers at Werner Park in the opener of a five-game series. With the wind blowing out to left field all night, Anthony Garcia belted a home run, his team-high 13th of the year, but Omaha swatted five homers. James Naile gave up two runs in the bottom of the first inning and needed 39 pitches to complete the frame. He lasted four innings on 91 pitches and took the loss. 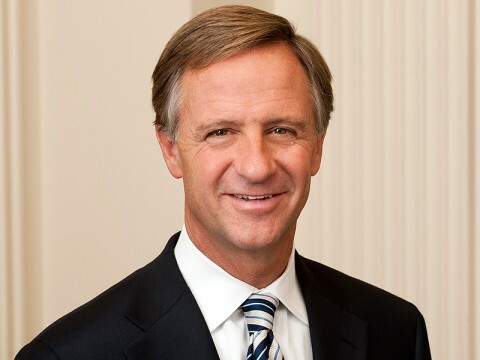 Maryville, TN – Tennessee Governor Bill Haslam today signed legislation to support TN Together, the governor’s aggressive and comprehensive plan to end the opioid crisis in Tennessee through three key areas – prevention, treatment and law enforcement. “This legislation is a major step in helping fight this epidemic by limiting the supply of opioids and providing resources to provide treatment for those addicted,” Haslam said in a ceremonial bill signing at the Blount Memorial Hospital. 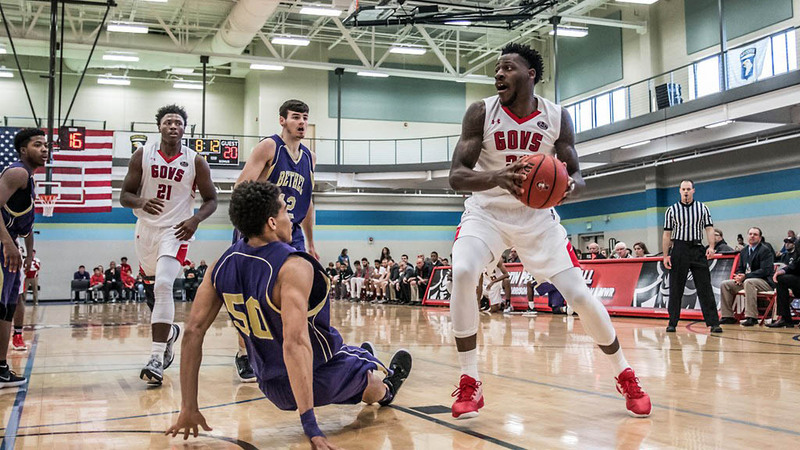 Clarksville, TN – Austin Peay men’s basketball put forth a unique event in November, just ahead of Thanksgiving, when the Govs hosted Bethel. 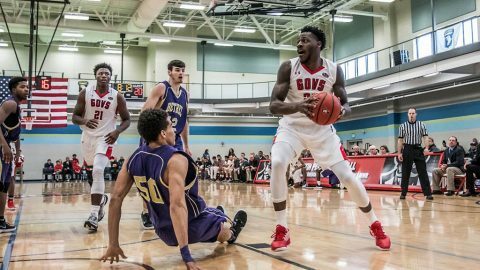 That of itself was unique as it was the first meeting between the two schools since 1969, but the site—at Fort Campbell’s Shaw Physical Fitness Center—made the game much more than just a game. 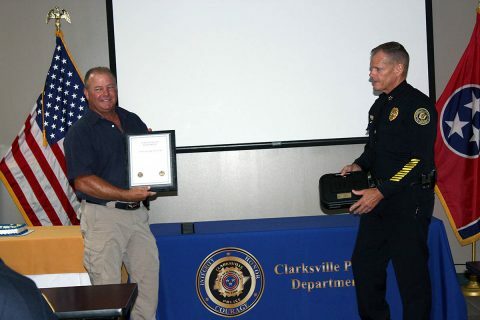 Clarksville, TN – The Clarksville Police Department is both pleased and saddened to announce the retirement of Officer James Eure. Pleased to see a deserving public servant achieve retirement, but saddened to lose the wisdom and experience of such a veteran officer. Officer Eure will officially retire June 30th, 2018 with 30 years of service as a Clarksville Police Officer. Clarksville Police Officer James Eure receives his Certificate of Retirement. Nashville, TN – The Tennessee Bureau of Investigation has a new addition to its ‘Top 10 Most Wanted’ list: Joseph Ray Perkins, of Vance, Alabama. 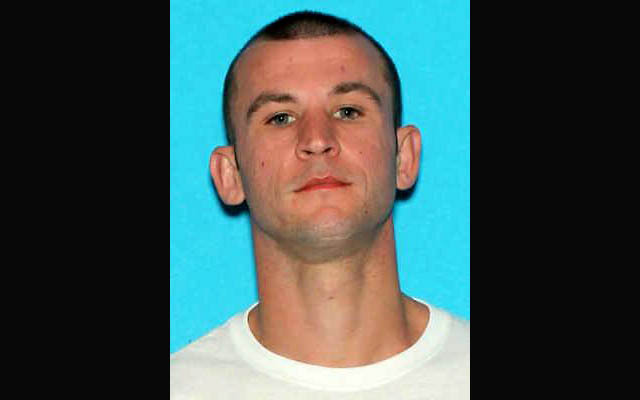 Perkins is wanted by the Williamson County Sheriff’s Office, the Tennessee Highway Patrol, and the Tennessee Bureau of Investigation to face charges including Reckless Endangerment with a Deadly Weapon, Felony Escape, Evading Arrest with a Motor Vehicle, and Theft over $10,000. 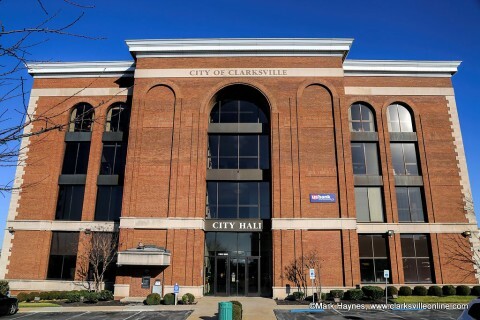 Clarksville, TN – In recent weeks, the City of Clarksville officials have received complaints about an increased presence of panhandlers on public rights of way in the City. 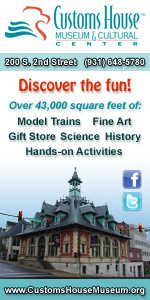 Citizens say panhandlers congregate around highway exits and at intersections and often leave trash and debris creating a negative image of the community. 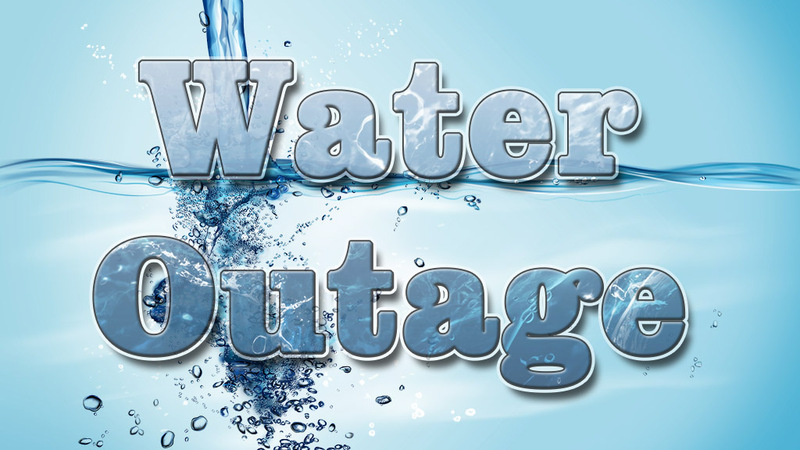 In response, the City is working to build a coalition of law enforcement, governments, social service agencies and church groups to promote a broad campaign to mitigate panhandling and attack the real problems of need and homelessness. City of Clarksville ‘Real Change, Not Spare Change’ program emerging to address the problem. 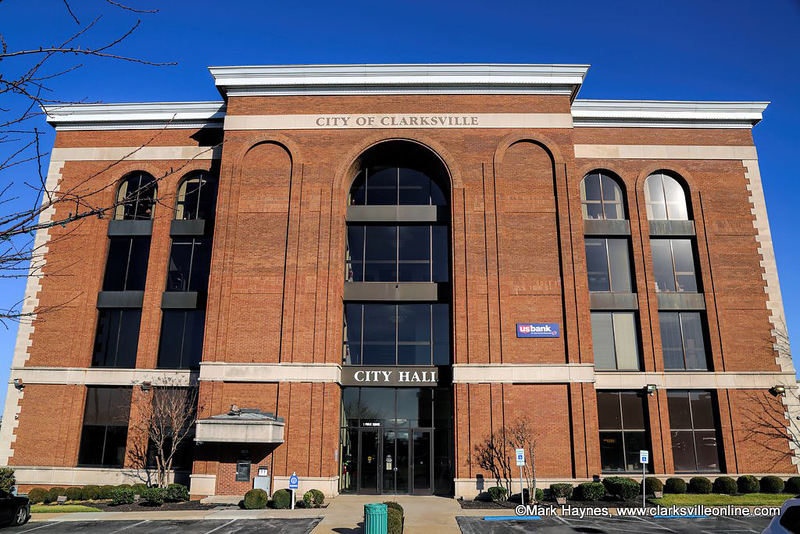 Clarksville, TN – Clarksville Police responded to an early Wednesday morning crash at Peachers Mill Road and 101st Airborne Division Parkway that resulted in the death of Judy Tapia, a 49-year-old Clarksville resident. 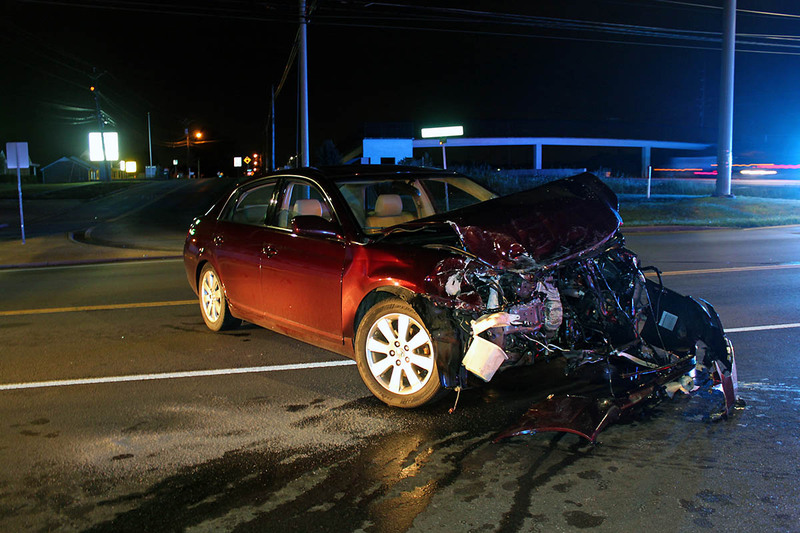 Crash investigators stated a 2007 Toyota Avalon driven by Bradley Vezeau failed to stop for a red light on Peachers Mill Road and crashed into a 1999 Dodge van driven by Christopher Conroy. Tapia, a passenger in the van, was ejected from the vehicle and died from her injuries. A 2007 Toyota Avalon did not stop at the light on Peachers Mill Road and slammed into a 1999 Dodge Van. 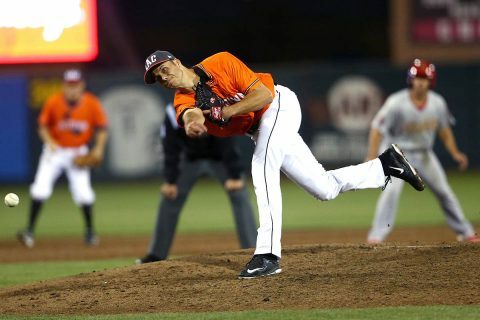 Round Rock, TX – For a second consecutive year, Austin Peay State University (APSU) alumnus Tyler Rogers, a relief pitcher for the Sacramento River Cats, has been named to the Triple-A All-Star Game which will be held July 11th at Huntington Park in Columbus, Ohio. Rogers is in his third season with the Triple-A River Cats and is again out to an impressive start with a 3-1 record and 1.85 ERA in 30 relief appearances. Clarksville, TN – Clarksville Gas and Water has turned off water service on East Bel Air Boulevard and West Bel Air Boulevard and on Donelson Drive for water main leak repair. 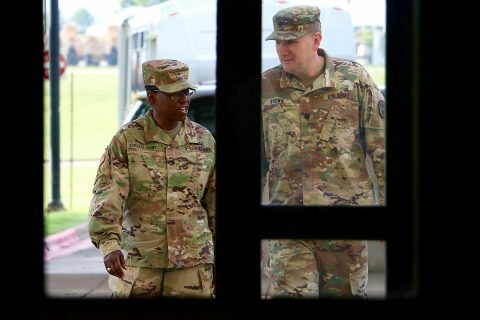 Fort Campbell, KY – The commanding general for the largest regional health command in the Army visited Blanchfield Army Community Hospital, June 27th, 2018 and shared her priorities for the 25,000 military and civilian employees who provide healthcare to approximately 600,000 service members, retirees and their families in the region. Former Blanchfield commander, Brig. Gen. Telita Crosland assumed command of Army Medicine’s Regional Health Command-Atlantic (RHC-A), headquartered at Fort Belvoir, Virginia, from Brig. Gen. R. Scott Dingle earlier this month.